After nearly two years of delay, the leading suspect in the brutal death of 16-year-old Palestinian Mohammad Abu Khdeir was convicted of murder, this Tuesday. The Abu Khdeir family’s lawyer Muhannad Jbara told Ma’an News Agency that an Israeli court rejected insanity pleas presented by the lawyers of Yosef Chaim Ben-David — the ringleader responsible for kidnapping and burning the teen alive in July 2014. Jbara said the court ruled that the 30-year-old Israeli was “fully aware of his actions when committing the crime,” and that Ben-David had been “acting out” his alleged mental illness for Israeli authorities investigating the attack. 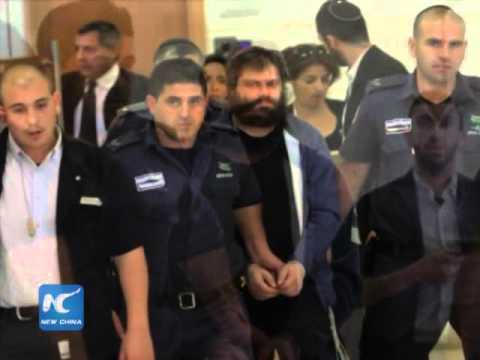 The court also found Ben-David guilty of planning to kidnap Palestinian child Moussa Abu Zalloum from the Beit Hanina neighborhood of occupied East Jerusalem, Jbara added.Ben-David will receive his sentencing on May 3. Abu Khdeir’s parents said that they were “relieved” by the court’s decision, demanding that Israeli authorities give their son’s killer a life sentence and demolish his home, in line with an official Israeli policy carried out for Palestinians who kill Israelis. “In every court session he [Mohammad] is burned again, as we were hoping that he [Ben-David] would be sentenced more quickly without procrastination or chances to escape the sentencing,” the father said. Two Israeli minors who assisted in killing Mohammad were convicted of murder in February, one receiving a life sentence and the other 21 years in prison. While Ben-David admitted to carrying out the crime, he repeatedly escaped conviction after seeking a last minute psychiatric evaluation. Knesset members from the Arab Joint List Usama al-Saadi and Ahmad Tibi attended the court session in support of Ben-David’s conviction, with Tibi calling Mohammad’s death one of the “ugliest” crimes to be committed in the past few decades. Mohammad, a 16-year-old from Shufat in occupied East Jerusalem, was kidnapped and murdered by the three extremists in July of 2014. All three confessed to beating the teenager unconscious before pouring flammable liquid on him and setting him alight. An autopsy later confirmed the teen had been burned alive. Following February’s sentencing of Ben-David’s accomplices, Mohammad’s father slammed the Israeli justice system for failing to uphold justice for Palestinians. Tuesday’s conviction comes shortly after the Israeli authorities came under international spotlight when an Israeli soldier was caught on camera shooting a wounded Palestinian at point-blank range through the head in Hebron. The incident and subsequent investigations and trials were put under scrutiny, with critics alleging that Israel’s justice system his long granted immunity to those who carry out violent acts against Palestinians.